Building on the on the rich and enlivening experiences of our one day workshops we will create an immersive week-long experience of embodied awareness and interaction, allowing for professional learning and the development of personal sensibilities and skills. establishing your own embodied resources, including the preparatory ritual, sometimes ( with tongue in cheek) called the "haka" or "war-dance"
The two-day format will give additional scope for exploring the theory underlying our approach, and tailoring applications in your practice. Michael is a Certified Radix Body Psychotherapist and Certified Somatic Trauma Therapist. Having ended his London practice in 2012, he now focuses on supervision and training. He is editor of the Safe Trauma Recovery website. For more than twenty years he has been co-leader of the London Radix Workshops programme, and since 2007, External Clinical Supervisor to the London Underground Counselling and Trauma service. Brian is a Certified Radix Body Psychotherapist and a member of the Radix Institute, with a practice in London. He has completed trainings in Somatic Trauma Therapy with Babette Rothschild and in Biosynthesis with David Boadella. Brian is also a director of theatre, television and film, and has taught acting at the Royal Academy of Dramatic Art for more than thirty years. He regularly uses aspects of Radix work with actors. I am aware that I am using more of the information I am feeling from my client at my body level and just giving this more space to be and letting this come into the room. - I am in awe of how much emerges from a place of safety, for healing, growth and awakening. - I have a conscious way to establish a clearer sense of separation between me an others, including clients My initial impression is that my practice has become more effective as a result. - I have consciously used my sense of being very grounded in myself whilst fully experiencing another human being (especially emotional clients). This I believe makes me more resilient and so more able to be authentically compassionate as a therapist. - I used the knowledge I gained about my therapeutic groups process. This was invaluable and my group experienced growth and intimacy and I experienced a new way of holding the group. - I have noticed I am physically more alive and present to my own sensations and those of others around me..
- I just loved it. I felt contacted on all ego states and very safe to be myself. I enjoyed learning and want to learn more! Recent developments in psychotherapy, in areas like Neuroscience, Mindfulness, Trauma and Energy Work, have brought the body and what it has to tell us out of the closet and into the limelight. Authors like Antonio Damasio (The Feeling of What Happens), Allan Shore (Affect Regulation Trilogy, The Science of the Art of Psychotherapy), and Dan Siegel (The Mindful Therapist etc.) among others, confirm this central importance of somatic experience. Many concepts in the foreground of contemporary psychotherapy - empathy, attunement, affect regulation, mindfulness, "vitality effects" (Stern), "a state of vitalising attunement" (Schore), involve capacities that depend on a sensitivity to our own and our clients “somatically expressed affects"(Schore). In the field of trauma in particular many leading authorities have afforded the body a central role: Babette Rothschild (The Body Remembers), Van der Kolk (The Body Keeps the Score), Peter Levine, founder of Somatic Experiencing, (In an Unspoken Voice, Waking the Tiger) Pat Ogden (Trauma and the Body.) Body awareness here is emphasised as a tool for making therapy safer, as well as more effective, for both client and therapist. How can you learn to recognise and give due significance to body experience in your clinical practice? How does any of us learn our craft? Of course we must study, attend trainings, and carry out supervised practice; but isn't the heart of our learning the holistic experience of "being in therapy" in the modality that we want to practice? This experience creates implicit and procedural memories that underlie our conceptual understandings, and gives us (to borrow Damasio’s phrase) "a feeling of what happens" in therapy. 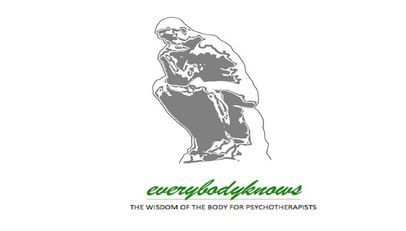 Body psychotherapists, of course, have a training in and an experience of their own body focused therapy that steeps them in somatic experience. We are not proposing that everyone should undertake a course of body psychotherapy. However, having attended, with enjoyment and enlightenment, seminars by luminaries such as Allan Schore, Dan Siegel and others, we have come to believe that there is even more to be done with body experience than thinking about it and talking about it, or indeed reading about. It is our plan to create lived experiences that will enable people to get more deeply into touch with their own body experience and how it resonates with others. Thus they may be able to develop a greater appreciation for and engagement with the Wisdom of the Body as something real, informative and personal. These workshops - Boundaries, Contact, Engagement - are part of a developing series; it has evolved through shared experience and will continue to do so. Our approach is entirely practical, and focused in here and now experience. No previous theoretical knowledge is required. It arises from decades of hands on experience, but it is neither unthinking nor uninformed. Email Brian Stirner or Michael Gavin.